want to help all animals in need. 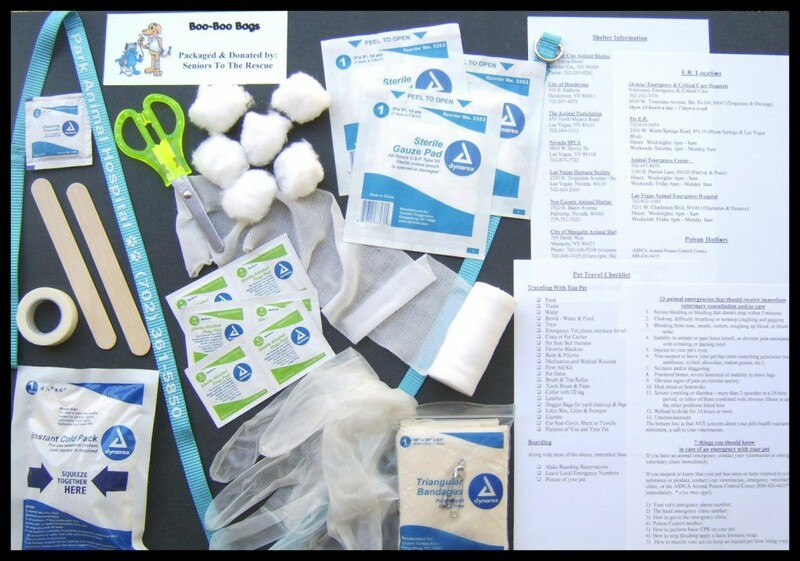 Our Boo-Boo Bags, pet first aid kits, have helped rescues raise donations. They have sold for $5.00 to $10.00, but you can set the price. They are yours to use for however they can help your organization the most. Use them as a gift for a donation, give to a new adoption family or sell at an adoption event. 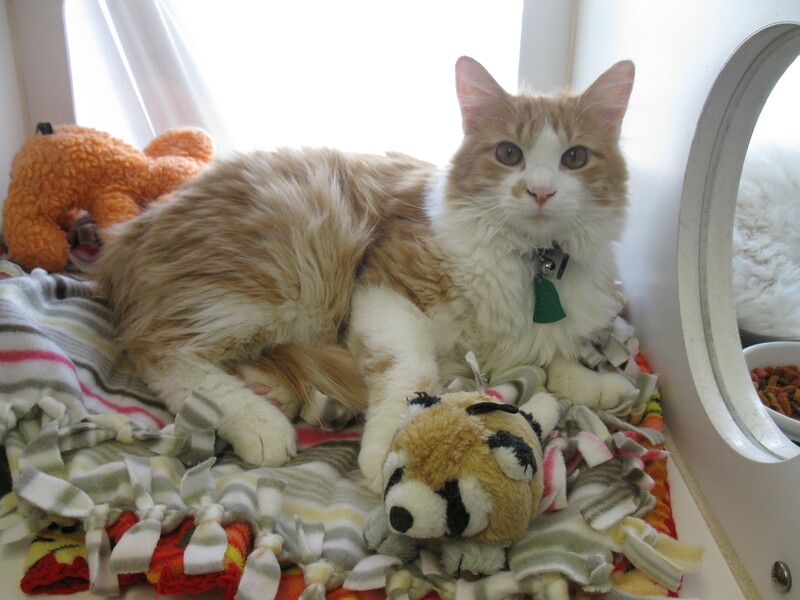 Snuggle Beddies, knotted fleece blankets, are wonderful for those loving animals waiting for a forever home. Click here to see our other projects. Do you have a project our seniors can help you with? What can we do that will save your organization time so you can donate more time to finding homes for your loving animals? All programs and projects are done with a volunteer present and checked for accuracy. Click here to contact us today if we can help.